Imagine planet earth in the future - up to 200 million years from now. 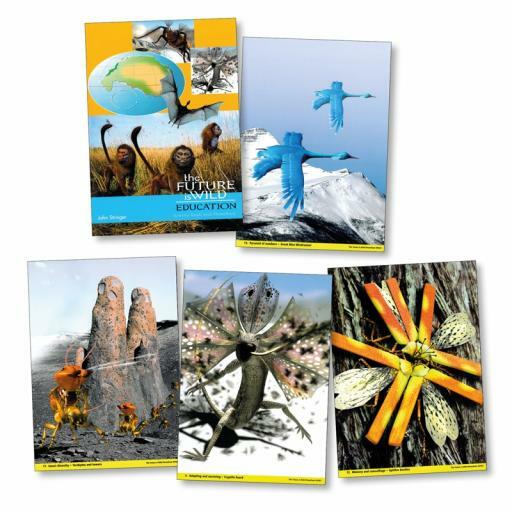 With 16 A4 laminated photographs this photopack and comprehensive activity book addresses scientific thinking on evolution, natural history and geography. Fantastic creatures and real Earth habitats set the scene to help learn about how plants and animals are suited to their environment. Compare the adaptations and habitats of present-day Earth animals and plants and those that may live 200 million years from now.